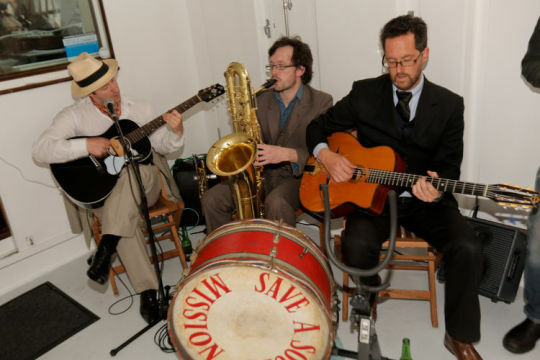 The group project of respected Wellington musicians Dan Yeabsley, Nils Olsen, Mat Enright and Adrian Jensen, The Dancing And Drinking Society have been bringing their swing band and swing blues sounds to dance floors and craft beer bars across the capital since late last year. When they take to the stage guitar, horns, washboard and kick drum blend as The Society present their favourite old standards and rarities with exactly the sort of vigor you want for some stress relieving after-work dance times. "The most authentic ‘20s and ‘30s experience you’ll get this side of the naughties"